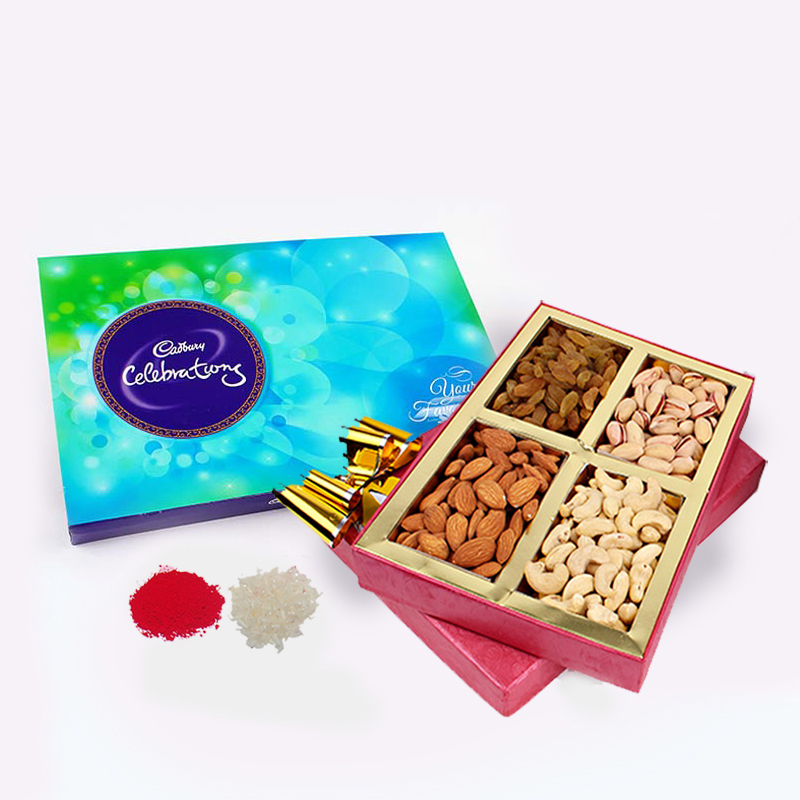 Product Consists : Cadbury Celebration Chocolate Pack (Weight : 140 Gms), 500 Gms Dry Fruits Box along with Free Roli Chawal. 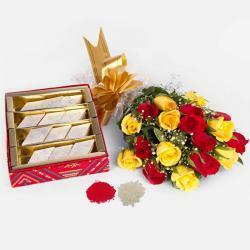 On this Bhaidooj, express your love in unique way and show your brother how special he is for you by sending him this stunning gift hamper. This amazing hamper comprises of roli and chawal of best quality to grace forehead of your brother and a pack of Cadbury Celebrations that contains assorted bars of mouth watering chocolates like Cadbury Dairy Milk, Gems and so on. 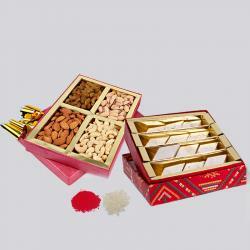 This year, celebrate Bhaidooj by treating your darling brother to dry fruits nutritive. Buy an ideal with quality occasion products from our website and make your online shopping experience an enjoyable one as you can get exciting hampers with unique combination of products range as well. 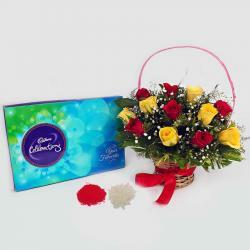 This exquisite hamper is perfect to bring smile on his face. 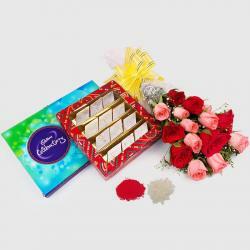 So order it today and make it a memorable event for your brother.Product Consists : Cadbury Celebration Chocolate Pack (Weight : 140 Gms), 500 Gms Dry Fruits Box along with Free Roli Chawal.